At Torres Law, P.C., we work hard to protect the rights of clients from throughout the Houston, Texas, region. Our firm can assist you with your family law needs, your personal injury case and your criminal defense case. Whatever your situation, the law provides you with options, but those options are time-sensitive. For that reason, we at Torres Law, P.C., urge you to contact us as soon as possible. 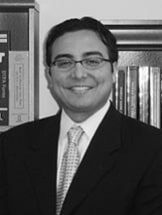 Our firm's founding lawyer holds more than a decade of experience practicing law. As a result, he understands how the legal system works. His seasoned legal judgment enables our entire firm to provide you with the information you need to understand all of your options and to choose from those options wisely. That experience includes dealing with insurance companies, adjusters, insurance company attorneys, prosecutors and opposing divorce attorneys. We draw on that experience to craft legal strategies directly responsive to the details of your particular case, details that often serve as the foundation for a successful case.